Dave has spent many years as an athlete in the sport, racing all over the world in the various distances. He has competed in numerous long distance/Ironman events including Ironman UK, Wales, Lanzarote and the European Championships at Ironman Frankfurt. In addition to this Dave has raced as part of the Great Britain Age-Group Team. Dave still races, but has now focused more on helping athletes realise their own ambitions and he is a passionate and knowledgeable coach. As a coach Dave's philosophy is that you never stop learning. He actively seeks out opportunities to work with other top coaches in order to gain experience in the methods that lead to success. Dave spent time working alongside Brett Sutton and his squad of professional athletes in St. Moritz. 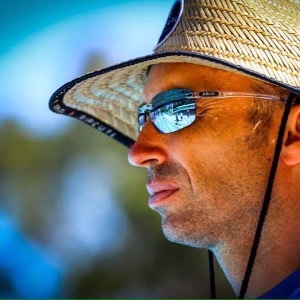 This experience with Brett has helped shape Dave's own coaching methodology and many of the sessions Do3 athletes complete have their roots with Brett in St. Moritz. Dave's passion for coaching was recognised by World Renowned swim coach and founder of 'Swim Smooth' Paul Newsome. As such Dave has been invited to train to become one of only a handful of officially certified Swim Smooth coaches - at present there are only 16 worldwide. All Swim Smooth coaches are trained in advanced video analysis and stroke correction. Video analysis is by far the quickest and most insightful way to improve your stroke. Swim Smooth Full Certification in progress. Success. Coach David Knight has been notified of your message.